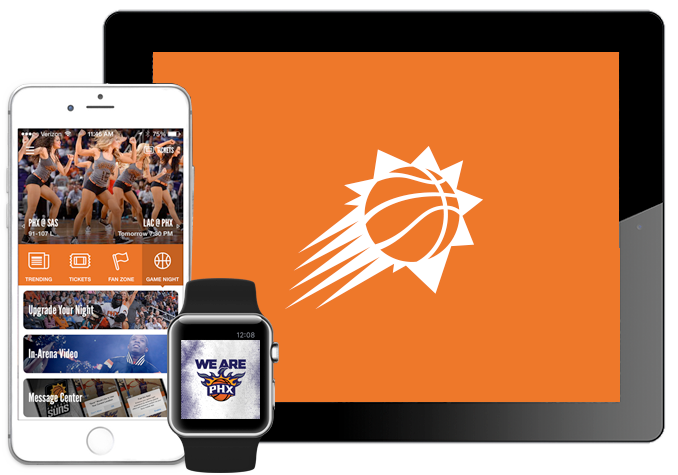 Connect with your Phoenix Suns on social media! Download now for the latest news, photos, video, and live stats on game nights! Stay up to date on the best dance team in the NBA! Supporting the community since 1988! Best mascot in the NBA! Stay up to date on the latest styles! Hip-Hop team of your Suns! Emmy Award winning broadcast team!